The Club offers a range of instant membership to suit individual golfing requirements for men, women, full time students and juniors. The membership process merely involves the completion of an application form and the payment of the appropriate fees. 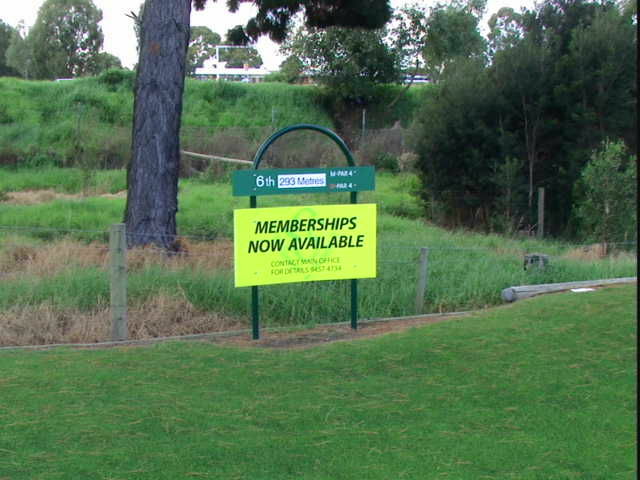 More detailed information relating to the various types of memberships are available from the office or the Pro Shop. This category is for members who wish to acquire an official handicap and compete in all appropriate club competitions; no day restrictions apply as this category allows play seven days a week, either in competition or outside of competitions. This category is for members who wish to have playing rights seven days a week but only outside of official club competitions. Such members are not permitted in official competitions but can play any other time including social competitions. A membership category also exists for full time students over 18 years of age. The membership is valid for a single year and any extension must be applied for with the appropriate documentation. Memberships are available for persons 18 years and under and these are classified as Junior members. These memberships are unrestricted and enable juniors to play seven days a week including competitions if they have received the approval of the club’s Match Committee. This is a new membership category introduced this year and targeted at those persons who because of age and/or health reasons can only manage 9 holes of golf per round. It is a restricted membership and applications are subject to special application procedures and scrutiny. This is a new membership category confirmed at the recent (2015) AGM of the club. It provides an opportunity for prospective members a low cost entry to the membership of the club and a opportunity to compete in a restricted number of club competitions rounds (5) per year and obtain an official Australian handicap. Other membership benefits apply, including additional games at a reduced Green Fee rate, but no voting rights apply. For the 2016/17 year the fee for this type of membership has been set at $185 and a joining fee does not apply. Introduced in 2016/17 this membership is open to persons under 40 years of age but restricts the playing rights to Sunday to Friday ie: 6 days and excludes play on Saturdays. Social membership are available to persons who do not wish to play golf but wish to enjoy the fraternity offered by the club and licensed facilities of the clubhouse. All new members, regardless of membership categories, are not subject to the payment of a Joining Fee. Persons with a Seniors card or CentreLink concession are eligible to a rebate on the appropriate annual membership fee and this rebate is approximately 5% of the total amount. The club’s membership year is from the 1st November until the 31st October. Members joining through the year pay a pro rata amount of the appropriate annual membership fee according to the membership category. For further details of membership please contact the office or click on the following link for a Word document of the club’s two page Membership Application form.